The Earth’s shadow darkened the moon during the lunar eclipse on September 16, 2016. Sadly I missed this rare event due to cloudy weather. It’s called a penumbral lunar eclipse where the earth causes a shadow across the moon. This eclipse also happened during a Harvest Moon (the full moon closest to the Fall equinox). Unfortunately, this rare overlapping of events won’t happen again until 2024. Thank goodness for the web with lots of photographs and videos! 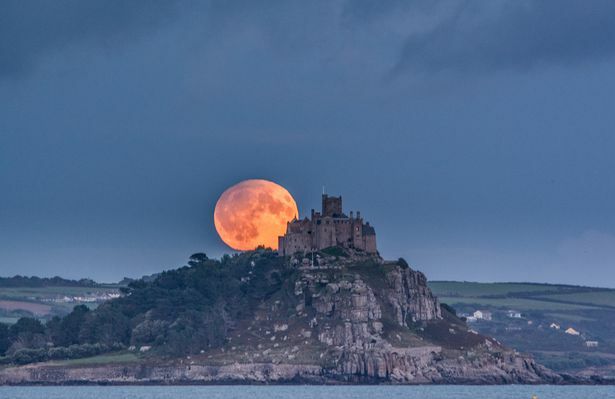 The Harvest moon rises behind St Michaels Mount in Cornwall by Simon Maycock/ Alamy. Beautiful photos…thanks for sharing, Brad!! I wonder what that same picture would look like from the Normandy side of the Channel. I’ve only ever seen it from the Normandy side so I wondered. Maybe next full moon two photographers, one on either side, could pull that off for us! I missed the big event too due to cloud cover Brad, But I did see the huge Moon later in the evening glowing brightly.. Same reason I missed it Sue. The moon was beautiful the next night here too. When the night is cloudy there is still a light that shines on me. That just popped into my head when reading this. The moon is magic and so are your photos. Fun stuff JoAnna. The photos are great, but not mine as per the captions. 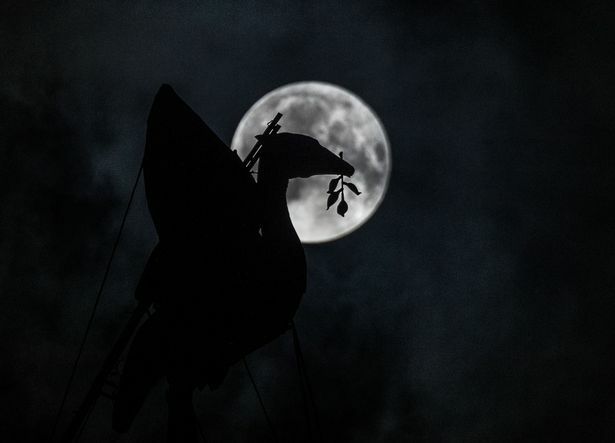 Moon Madness – love this, Brad! Wow Noora. You’re all over my site today! Thanks for connecting. I hope you have a beautiful week. Hugs! Pics like that show you how beautiful the earth is and it can be even more if we work together. Thank you brad and when do want to get this movement started.? You can start it when ever you want..Thanks for careing.